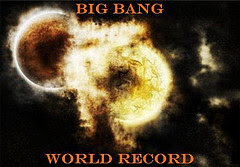 So I was tagged by Tukayo with this Big Bang World Record...not sure what the world record would be but I am tagging along regardless. Thanks for letting me tag along, Tuks! *Tag or don’t tag, your choice, however, the more tags you create the bigger the list will grow. *Come back and copy the master list back to your site, often. This process will allow late-comers to get as much link benefit as the first ones in. Let me tag: Denz, JK, Michelle, Darlene and Pinaymama-Joyce. aw! u got this already na pala. coz i tag u about this in my blogspot. anyway.. hope u had a great sunday.